Having a meal. Five young women in kimono are seated on the floor. 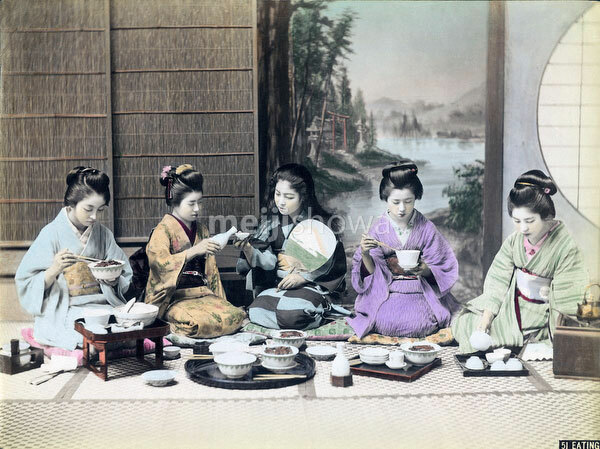 Two women are using chopsticks, one is pouring sake (rice wine) into the cup of the woman next to her, while the fifth is pouring tea.